For the third time in less than two years, Nutmeg has kept its promise to assist our partner organization in Israel, the Jerusalem SPCA. Most recently, our Israeli friends told us their medical team desperately needed a new microscope. The one they’d been using had suffered so much wear and tear over the years that it reached a point of being beyond repair. 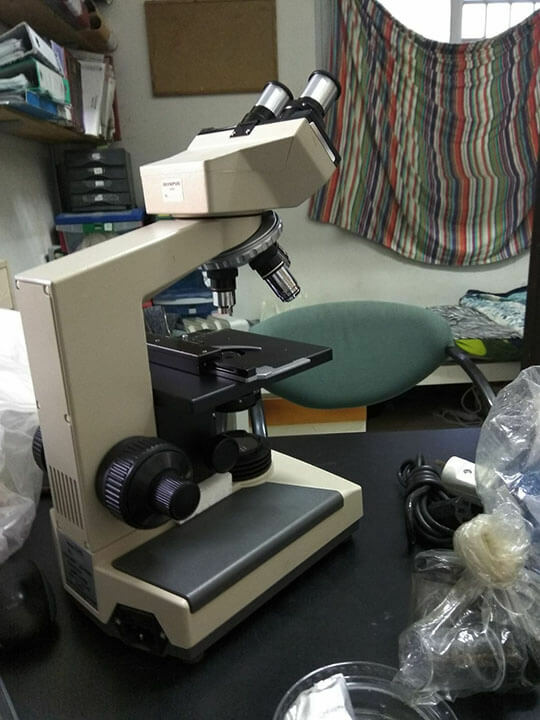 Within a few weeks, Nutmeg arranged for the purchase of this brand new microscope (pictured above), valued at approximately US$2,100. Less expensive — and less effective — equipment was available for us to purchase, but we ultimately chose to provide the JSPCA medical staff with this more powerful model, which was the device of its choice. Animal welfare in general in the Holy Land remains fraught, for a variety of reasons we addressed in previous posts here on our website. At the moment, JSPCA is still looking to secure land and building rights (as well as funding) to construct a new, modern headquarters in Jerusalem. Representatives are currently trying to meet with the city’s mayor to help advance this process. In the meantime, Nutmeg is doing what it can from afar to cater to the neediest of animals in JSPCA’s care. We’d like to thank our donors for helping us make this latest charitable gesture possible. If you’d like to help Nutmeg to defray the cost of purchasing this microscope, or perform other good works around the world and around the corner, please consider making a financial contribution today. Thank you!